This is a follow up to the article published on January 9th 2018. The Global Entrepreneurship Index (GEI) is a composite indicator of the health of the entrepreneurship ecosystem in a given country. The entrepreneurship ecosystem is the important factor here. I have written several pieces in this newspaper advocating for a vibrant entrepreneurship ecosystem in Sierra Leone. In order for entrepreneurship and innovation to play the crucial in creating jobs and growing our economy, we need to develop value creating and high growth entrepreneurs. Without an Entrepreneurship Ecosystem that supports value creating and high growth entrepreneurs, this promise we will not be fulfilled. The Global Entrepreneurship Index measures 14 components in an entrepreneurship ecosystem. Sierra Leone was 5th from bottom of the GEI Index for 2018. The GEI measures both the quality of entrepreneurship and the extent and depth of the supporting entrepreneurial ecosystem. Data collected for the 14 components are used to calculate three levels of scores for a given country: the overall GEI score, scores for Individuals and Institutions, and pillar level scores (which measure the quality of each of our 14 components). In the first article, I listed and discussed all 14 components in an entrepreneurship ecosystem. In this article, I will look at each and highlight actions/policies that can be taken/implemented to improve elements in the entrepreneurship ecosystem. I must caution that in Sierra Leone we do not have an identifiable and functioning entrepreneurship ecosystem. Nonetheless, it does warrant an article as this contributes to our work and that of others in building an entrepreneurship ecosystem. With the help of three experts – Professor Richard Saouma, Venture Capitalist Ken Krull and Researcher Ainsley Lloyd – GEI generated the following (non-exhaustive) list of example actions that one might take to impact each of the 14 areas measured by the GEI. I will also put some of these examples in the Sierra Leonean context(my comments in italics). What it measures: Can the population identify opportunities to start a business and does the institutional environment make it possible to act on those opportunities? Entrepreneur= (1)Expose yourself to new experiences to boost creative thinking; (2)Start a “side hustle” to test a business concept. Large company= (1)Market and promote partnerships with entrepreneurial firms. In Sierra Leone we have yet to see large companies partnering with start-ups; (2) Create an intrepreneurship culture; (3) Create a policy of paid side project time(like Google); (4)Show how the firm has partnered with entrepreneurs to help them launch a businesses. Government/Policy Makers=(1) Lower taxes. This is may not be possible given the need for Government to increase its tax revenue; (2) Promote entrepreneurial successes within economic development initiatives. What it measures: Does the population have the skills necessary to start a business based on their own perceptions and the availability of tertiary education? Entrepreneur= (1) Ask entrepreneurs around you how they have developed the skills that have helped them be successful; (2) Participate in continuing education; (3) Learn a new skill; (4) Take an online course. The Cordaid Ilab offers vital skills training for both start-ups and establish businesses. Large company= (1) Reimburse or match for continuing education. ; (2) Sponsor skill building with local associations; (3) Emphasize the importance of entrepreneurship skills in collegiate recruitment programs at the pre-internship stage. Government/Policy Makers. All the policies listed here are achievable if Government commits to them. TVET and other initiates can be accelerated to close the skills gap. (1) Expand access to tertiary education to a broader portion of the population. ; (2) Offer tax credits for educational expenses; (3) Make high school business education mandatory, including the identification and capture of value; (4) Offer funding with no strings attached to the student entrepreneur who gets the most traction on the least amount of resources;(5) Fund regional initiatives to encourage student entrepreneurship, and make sure to prioritize under-funded initiatives;(6) Create a policy to reduce the child workforce. What it measures: Are individuals willing to take the risk of starting a business? Is the environment relatively low risk or do unstable institutions add additional risk to starting a business? Entrepreneur= (1) Run the smallest possible test you can run to validate your idea; (2) Predefine successful outcomes; (3) Recruit critical advisors willing to kill concepts that don’t fit; (4) Realize that not all ideas can be implemented today or have a valid skillset match for the entrepreneur;(5) Identify external dependencies on your idea’s success. Large company= (1) Create an ok to fail culture; (2) Sponsor skill building with local associations; (3) Emphasize the importance of entrepreneurship skills in collegiate recruitment programs at the pre-internship stage. Government/Policy Makers. Government policies in this area are largely focus on social safety policy. Personal and corporate bankruptcy laws are also areas of policy intervention. What it measures: Do entrepreneurs know each other and how geographically concentrated are their networks? Entrepreneur= (1) Find places where other entrepreneurs gather and engage (e.g. 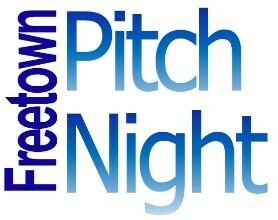 Freetown Pitch Night, Sensi Tech Hub on Fridays); (2) Join a forum, club, association or other group related to your concept, eg. The fintech association. Large company= (1) Sponsor formal networking functions as corporate recruiting. The SL Brewery for example is the main sponsor of the Freetown Pitch Night; (2) Encourage mentorship; (3) Host social events with entrepreneurs where entrepreneurs can learn what are the real pain points faced by companies, how they can add value, and/or what fish are too small for the large firm to fry. The Freetown Pitch will on the 1st of March host an event where successful CEOs will share their experiences/lessons with start-ups. Government/Policy Makers. We have argued together with other organisations for the policies below. (1) Improve ICT access and infrastructure; (2) Promote vertical associations’ networking activities;(3) Sponsor an entrepreneurship week every two months. Showcase the work of start-ups in your area and invite the public; (4) Create “incubation space” in economically depressed areas – empty cargo containers, a room with 4 walls – that is available to would be entrepreneurs, open 24/7. With this last point, it is our opinion that management of such incubation space should be by the private sector. It is private sector entrepreneurs that know what is takes to start and grow a business. What it measures: How does the country view entrepreneurship? Is it easy to choose entrepreneurship or does corruption make entrepreneurship difficult relative to other career paths? Entrepreneur= (1) Encourage and support entrepreneurs around you; (2) Create a blog or other appropriate social media around the developing of your entrepreneurial concept. Large company= (1) Market intrepreneurship as formal company PR; (2) Sponsor recognition programs promoting entrepreneurship, like The Global Entrepreneurship week, Creative Business Cup, Future Agro challenge; (3) Ensure that HR highlights the importance of entrepreneurial spirit to the entire pipeline of potential future employees, starting in high schools. Government/Policy Makers. (1) Reduce and prevent corruption; (2) Track formal statistics on entrepreneurship and its effect on GDP and other institutional metrics;(3) Make it easy for firms to plug into communities to announce their values (entrepreneurship) in e.g. high schools, by structuring formal slots or entrepreneurship days with the school system. GEN SL and Innovation SL stands ready to work with the Government and donor agencies on points 2 and 3 above. What it measures: Are entrepreneurs motivated by opportunity rather than necessity and does governance make the choice to be an entrepreneur easy? Entrepreneur= (1) Mentor or contribute to best practices in interacting with government and administrative overhead. Large company= (1) Allow spinouts of corporate developed ideas that the company can’t pursue. Government/Policy Makers. (1) Reduce the administrative burden of paying taxes and improve the capacity of the government to create and implement sound policies; (2) Lower the administrative overhead of incorporating and managing a business. The Government of Sierra Leone has made commendable strides in streamlining the process. Doing Business ranking has improved over the past 5 years on this measure. What it measures: Is the technology sector large and can businesses rapidly absorb new technology? Entrepreneur= (1) Keep abreast of current technology and trends; (2) Invest in technology that furthers your business. Large company= (1) Educate employees in current technology and trends;(2) Sponsor after school programming or similar STEM resources; (3) Invest in technology partnerships that businesses align. Government/Policy Makers. (1) Sponsor leading technologist at ecosystem events; (2) Promote local technologies and technologists; (3) Provide tax breaks for preferred industries. What it measures: Are entrepreneurs highly educated, well trained in business and able to move freely in the labor market? Entrepreneur= (1) Invest in formal and informal continuing education. Large company= (1) Reimburse or match for continuing education;(2) Sponsor skill building with local associations. Government/Policy Makers. (1) Foster a flexible labor market in which businesses can easily hire employees; (2) Sponsor free access to online learning platforms; (3) Provide tax breaks for education costs incurred by firms. What it measures: Are entrepreneurs creating unique products and services and able to enter the market with them? Entrepreneur= (1) Identify opportunities within your market that are underserved or unique. Government/Policy Makers. (1) Break up monopolies and police anticompetitive practices. What it measures Are entrepreneurs creating unique products and services and able to enter the market with them? Entrepreneur= (1) Create products and services that are new to the market. We have seen new products in the waste to wealth space, as well as Fintech. Large company= (1) Invest in R&D; (2) Team up with start-ups. Government/Policy Makers. (1) Foster collaboration in research between universities and industry, and the protection of intellectual property. We believe this is not only a Government responsibility. Large companies can through Innovation SL and GEN SL create partnerships with universities. We recently partnered with Limkokwing University of Creative Technology to provide a platform for students to showcase their ideas and inventions. What it measures Do businesses use new technology and are they able access high quality human capital in STEM fields? Entrepreneur= (1) Adopt new technology that improves your business’ functioning. Government/Policy Makers. (1) Improve the quality of scientific institutions and the availability of scientists and engineers. What it measures Do businesses intend to grow and have the strategic capacity to achieve this growth? Entrepreneur= (1) Set ambitious goals for hiring and profits. Large company= Large companies can also set aside funds for investing in start-ups. I know this might be difficult in the absence of an incubator running such programs. The good news is that Innovation SL will be launching such a program—corporate incubation within 2018. Government/Policy Makers. (1) Reduce the barriers to obtaining equity financing. What it measures Do entrepreneurs want to enter global markets and is the economy complex enough to produce ideas that are valuable globally? Entrepreneur= (1) Identify opportunities to export your products/services to new markets. Digital disruptions also applies to the global trade. The internet has made possible online market places that offer traders and exporters from just about corner of the globe to sell. Many services today can be delivered/distributed digitally making your market global. Government/Policy Makers. (1) Facilitate the interaction of individuals in increasingly complex networks in order to make products. What it measures Is capital available from both individual and institutional investors? Entrepreneur= (1) Support other entrepreneurs with seed funding. Given the fact the number one challenge entrepreneurs face in Sierra Leone is access to capital, this is not realistic for the moment. Large company= (1) Support entrepreneurs in corporate philanthropy, impact and social responsibility initiatives. This is realistic especially if the funding can be channelled through an incubator/accelerator or start up lab. Government/Policy Makers. (1) Reduce the barriers to providing venture capital and private equity financing. Sierra Leone global rank is 132/137. Our strongest area is Product Innovation and our Weakest area is Start-up skills. Overall GEI score is 12%.On the individual score, Sierra Leone scored 57% on entrepreneurial qualities of the people in the ecosystem. To underscore my previous articles on ecosystem, Sierra Leone scored only 25% on the quality of institutions that support entrepreneurship. As stated at the start of this article, these example are not exhaustive. I have also put my comments in italics on some of the actions. It is clear that multiple actors have a role to pay and share an equal responsibility if we are to improve the Sierra Leone economy by entrepreneurs creating jobs, developing new solutions to problems, improving people’s lives, creating technology that improves efficiency, and exchanging ideas globally.